It’s blessedly cool; at least a good ten degrees lower than the surly heat of the day outside. I try to bring up my hands to touch his face and find them shackled by his palms. I have scratched his cheek, the fresh marks just beginning to open up the skin. As I watch, a droplet of blood pops out. I raise my head; catch it on the tip of my tongue. He doesn’t move. Just watches me, those amber eyes alert as always, wary with self-restraint. I can see myself in them. I lean forward and flick out my tongue to brush the drop of blood against his lips. Our lips break apart and I fall back. There’s a strange look on his face. He is aware of me, aroused, no doubt about that. I also see … pity. “Get dressed,” he orders, but his tone lacks conviction. Twenty of today’s favorite YA & NA authors have come together to bring you a collection packed with full-length, spellbinding reads sure to keep you keep you on the edge of your seat and up way past your bedtime! READER BEWARE: These novels take everything to the edge–and not just the edge of your seat. With authors who aren’t afraid to push the boundaries, you get stories that take everything to limit, creating whimsical reads that teens can actually relate to and that adults can enjoy, too. 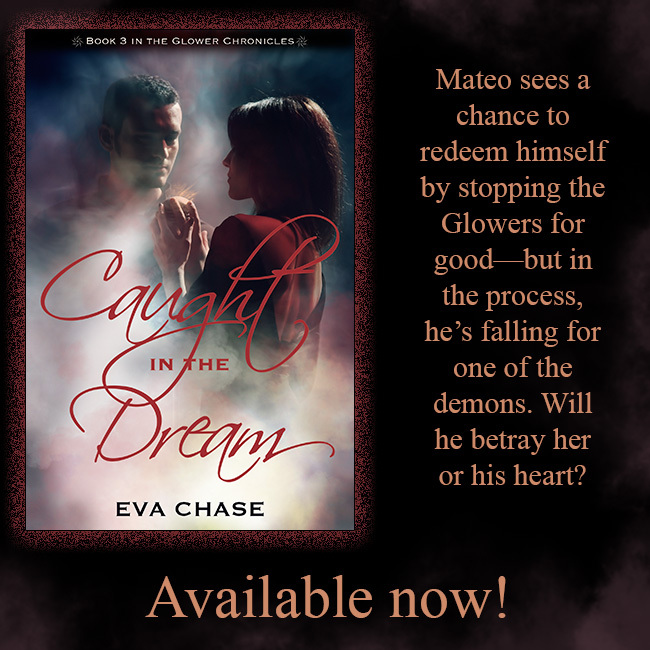 Caught in the Dream release day! If you want to take a taste before you buy, check out the first two chapters here. Having grown up in the affluent Hollywood Hills of Los Angeles and desperate to escape the fakery, she decides on the small college town of Sage Springs. With dreams of being a writer, she joins the college newspaper and is thrust together with blond, confident Flynn Matthews, Sage Springs’ rising swim star. But a carnival has set up in the small town, and the boy running the Waltzer catches her eye. Dark-haired, leather-jacketed Riley is rude, with an air of danger. Elizabeth can’t help but notice him. The bestselling Edge young adult box set introduces Saved by a Vampire, a novel by Stacy Claflin. This is just one of 20 page-turning, full length novels for only $.99! Stacy Claflin writes about complex women overcoming incredible odds. Whether it’s her Gone trilogy of psychological thrillers, her ongoing Transformed paranormal saga, or her Seaside Hunters sweet romance series, Stacy’s three-dimensional heroines shine through. My mouth watered at the rare smell of bacon and eggs. My favorite. We seldom found scarce commodities like pigs and could barely afford bacon or other cuts if we did. “Come down for breakfast, Ziamara,” called my grandma. The food smelled heavenly, although what I really wanted was something else entirely. Delicious, red liquid. But I only had one bag remaining, and I couldn’t waste it. Not when I wasn’t sure where the next one would come from. Staring at my reflection, I found it hard to believe I’d recently faced death’s door. Though a bit paler than it once was, my complexion had never been better. Not a single mark marred my skin—no reminders of my long hospital stay. I rose and went over to my full-length mirror, turning from side to side. My bones no longer stuck out from all my lost weight. In their place were some lush curves, exactly where I’d always wanted them. I smiled, never having been so pleased with how I looked. Regardless, I threw on an old hoodie. I would draw enough attention, and I didn’t need my figure to add to that. Another day. I ran a brush through my newly long, thick shiny brown hair. Even prior to being sick, it had never been so full of life. How ironic, considering I was now technically dead. Okay, I’d been more than just at death’s door. I’d passed through, coming back on the other side. It’s all semantics. Surah Stormsong is one of the most powerful Sorceresses in the world. She is a princess who is next in line for the throne. As someone who has lost almost everything to this world, she only wants to pull away from it and live a normal life, but when highborn ladies start being murdered, and the Black Stone—a weapon that’s capable of great destruction—goes missing, she’s called upon to solve the issues and return her people to a state of safety. But danger lurks inside the castle walls, and when she runs into Charlie Redmine, a common Sorcerer Surah met once as a child, things grow complicated very quickly. He’s the main suspect of the murders, but Surah is powerless against the connection she feels to him. Time is ticking, and if she doesn’t figure out what’s going on, things will go from bad to worse, and an entire kingdom will suffer for it. From the author of the bestselling series, The Alexa Montgomery Saga, comes a tale of star-crossed lovers and magic. H. D. Gordon is the author of young adult and adult fantasy/paranormal fiction. She has independently sold over 40,000 e-copies of her books worldwide, and has an eclectic taste in genres. The bestselling Edge young adult box set introduces Other Side of Forever, a novel by Shannon Eckrich. This is just one of 20 page-turning, full length novels for only $.99! Order your copy today! What if your life finally seemed to make sense? But, what if —in an instant— everything is taken away? How far would you go to get your life back? Seventeen-year-old Allie Anderson’s telekinetic powers are anything but useful— she can’t bring her father back, can’t stop her mother’s downward spiral into alcohol, and can’t keep her from falling in love with Ethan Bradley. Loving Ethan is easy, but it comes with a hefty price: Ethan is prohibited by his people from interacting with mortals— because he isn’t mortal himself. Kimberly Loth can’t decide where she wants to settle down. She’s lived in Michigan, Illinois, Missouri, Utah, California, Oregon, and South Carolina. She finally decided to make the leap and leave the U.S. behind for a few years. Currently, she lives in Shenzhen, China with her husband and two kids. She is a high school math teacher by day (please don’t hold that against her) and YA author by night. She loves romantic movies, chocolate, roses, and crazy adventures. She has published six novels. Llona Reese is used to living on the run. After the Vykens killed her parents, she knew they would eventually come for her too. But she never felt ready to face them—until now. Defying the Auran Council and everything she’s been taught, Llona must learn to use her power over light as a weapon if she wants to survive. Then Avery finds herself assigned to Colin Ryder, a young indie rocker who just landed a major label deal. Colin is cocky, rebellious, a brilliant musician, and already in the Glowers’ sights. He’s also far too hot for Avery to ignore the chemistry between them—especially when she gets to know the tender side behind his celebrity facade. Though Avery knows she’s falling too fast, she’s willing to risk heartbreak if fanning the flames of attraction distracts Colin from his Glower-tempting antics. But Colin is keeping a secret of his own, one so big it will put both her heart and his soul on the line. He paused. “No. I want…” The sentence hung unfinished in the air between us. Then, without warning, he caught me by the waist, spun me to the side, and sat me on the edge of the table.